For the past few years, the Board of Directors of CHI has undertaken several initiatives to raise the cooperative housing sector’s profile. It does this by promoting the successes of coop housing and by facilitating networking opportunities among housing cooperative leaders at one or two symposiums per year. These initiatives are excellent opportunities for our members, housing coop experts and developers to share best practices and discuss key issues. 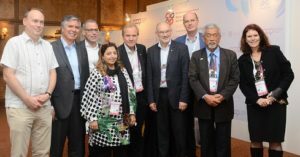 Cooperative Housing International held it’s plenary in Kuala Lumpur in November 2017. Six positions were available including the position of President. Five of the Board members are new to CHI with one current member re-elected. Since his early youth, Anders has been committed to and driving political issues and community development. He is constantly participating in the public debate going on in newspapers, radio, television and social media. For Anders, the cooperative movement means democracy, commitment and development. The cooperative values and principles give us a tool and open up enormous opportunities to empower and develop communities. 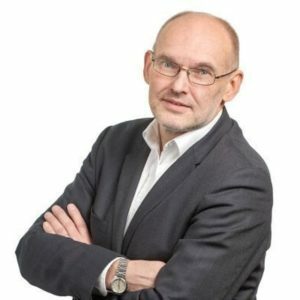 Anders is Executive Chairman of HSB, Sweden’s largest cooperative housing organisation with more than half a million members. He engages in making more young people take part and develop new cooperatives. He is also a member of the board of We Effect, a Swedish Cooperative Centre doing work in 25 countries. He also belongs to the Board of Folksam, a Swedish mutual insurance company. Before HSB, Anders was mayor of the municipality of Södertälje for 12 years where he was committed to issues linked to human rights, refugees, entrepreneurship and creating work opportunities. Watch a video of Anders Lago discussing the importance of investing in housing, education and integration for refugees in Sweden. Anders is serving his second term on the Board of CHI and was elected President at the Plenary session in November 2017. He is a Board Member of the International Cooperative Alliance. Guido was born in Munich and now lives in Halle, near Liepzig. Achieving a Master’s Degree in Geography, Political Science and Sociology at the University of Erlangen Nuremberg, his comprehensive studies, which included urban development, social housing, international politics and development theories, enabled him to centre his masters’ thesis on the contentment of tenants in a large pre-fabricated housing area in the former German Democratic Republic (GDR) in Halle. His primary interest, focus and drive has always been social housing and specifically cooperative housing. In 1994 Guido obtained a post in Bauverein Halle & Leuna housing cooperative in Halle and has been managing director since 2001. Bauverein has nearly 8,000 flats and more than 17,000 occupants. In this housing cooperative Guido had to face the immense challenge to provide and at the same time reduce housing implementation due to a shrinking population in Halle (300,000 to 230,000 within 10 years). A very successful merger with another cooperative enabled them to do this. In fact, they are now one of the biggest housing cooperatives in Germany. Following the success of this merger Guido was invited to be a member on the evaluation committee for adjusting the local housing markets of the federal building ministry of Germany in 2007 and 2008 and again in 2014 up to 2016. Guido has been on the board of CHI since 2013 and was just re-elected Vice-President in November 2017. 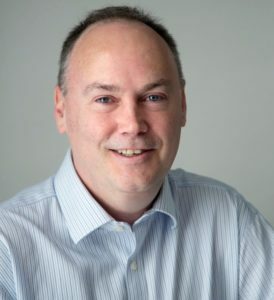 Blase has been a leading player in the cooperative housing sector for the last 18 years and is currently the Chief Officer of the Confederation of Co-operative Housing (CCH) which is the national trade body for housing cooperatives in England and Wales. He has developed the CCH training programme and leads its support and advice service. He became involved in social housing as a Board member of Brent Community Housing, was the Treasurer of the London Housing Federation (NHF London) for 7 years and is currently a Board member of the Cooperative Housing Finance Society. His areas of expertise are corporate governance, risk management and financial control. Blase was elected Treasurer in November 2017 and has been on the board since 2016. Errum started working for cooperatives in Pakistan in 2004 when there were few women involved in coops. Before that, Errum worked in commercial banking where she worked for 14 years as a Credit Manager. 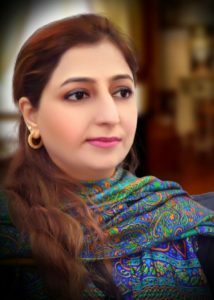 The dire need for cooperative development in Pakistan influenced her to switch careers and start working with her husband under the banner of Karachi Cooperative Housing Societies Union Limited. She has since developed a women’s cooperative wing and is currently working on expanding a cooperative school and starting a cooperative college. She has opened the first cooperative Montessori in C.P Berar Cooperative Housing Society and is now working on another school in Kokan Cooperative Housing Society to fulfill the needs for education in that area. Errum co-authored a book with other authors/writers/critics to pen down the history and current situation of cooperatives in Pakistan with a specific focus on Karachi (the cosmopolitan city of Pakistan). The book was launched at the ICA Congress in Kuala Lumpur in November 2017. Errum has been working hard to empower women which is an important aspect of any country’s economic development. Errum has a Masters in Marketing and Finance from the University of Preston Pakistan. 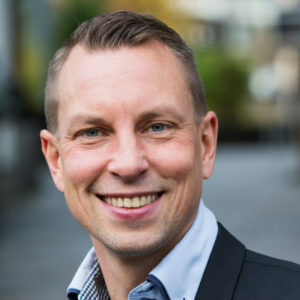 Errum was re-elected in November 2017. She has been a board member since 2013. Thor Eek is the CEO of NBBL, the federation of housing co-operatives in Norway. NBBL consists of 44 cooperative housing associations throughout all of Norway. The associations have more than 925,000 members, and manage 450,000 dwellings organised in 10,000 housing cooperatives and condominiums. Thor has been working for the federation for the last 24 years as Legal Adviser, Head of Legal Office, Head of Organizational Affairs and Head of Communication and Housing Policy. He has been CEO for the past five years. Thor has been a board member of Cooperative Housing International since 2011. Datuk Hj. Mohamad Ali Bin Hasan, is currently Vice President of ANGKASA, Malaysia’s cooperative apex organization and is also chair of the Steering Committee for Property Development and Building Industries at ANGKASA. He was also the Deputy President of TIM (Transparency International Malaysia) from 2006 until 2014. He is currently serving on a number of cooperative and university boards. 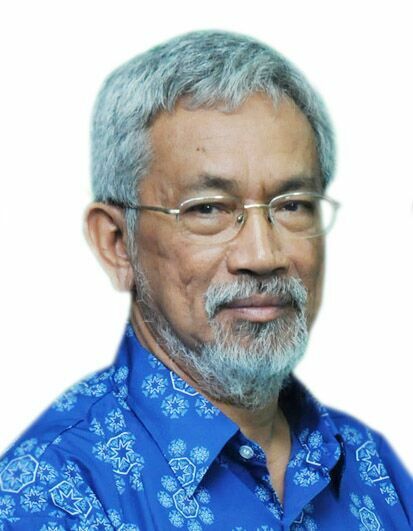 At the international level, he previously served as Vice-President of ICA’s Consumer Sub-Committee on University/College Cooperatives for Asia and the Pacific. In 2014, he was involved in presenting a paper in the Second Convention of the World Association of Business Schools in Islamic Countries, in Madinah, Saudi Arabia. He started his early education in Malacca, Johore and Selangor and his higher education in University Malaya, University of Ulster (Northern Ireland), University of Lancaster (England) and University of Waikato (New Zealand). Datuk has been on the board since 2015. 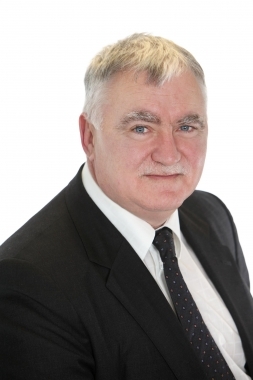 Kieron is CEO of Co-operative Housing Ireland (CHI), the representative body for cooperative housing in Ireland. Prior to this, he was CEO of the Irish League of Credit Unions (ILCU), the representative body and service organisation for 500 credit unions with 7,000 volunteers and 4,500 staff in the Republic and Northern Ireland. This is a large part of the cooperative movement in Ireland. Kieron is active on many committees and boards in Ireland. He is Chairman of Dublin City Community Co-operative and was elected to the Social Housing Oversight Group chaired by the Minister. The Group was established to oversee the implementation of the Social Housing Strategy launched by Government in November 2014. Kieron is also a member of the National Board of Brothers of Charity Services Ireland Ltd, a charitable provider of services to over 3,500 persons with intellectual disabilities as well as a member of the Board of Trustees of the Camphill Community Trust, a charitable trust which provides for volunteers in residential communities throughout Ireland for people with disabilities. Kieron previously managed the Dormant Account Funds programme in Ireland and was CEO of Partas – a community enterprise cooperative in Dublin. He was a co-founder and director of Inner City Enterprise (ICE) which operates a charitable loan fund and a rent subsidy scheme for unemployed inner city residents wishing to become self-employed or start up a small business. Kieron holds a B.A., M.A. and M.B.S. Kieron has been on the board since 2013. 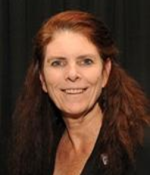 Linda Brockway serves as the Treasurer of the National Association of Housing Cooperatives (NAHC)in the USA, and has served on the Board of Directors since October, 2000. Ms. Brockway is a frequent speaker for the United States Department of Housing and Urban Development, the National Association of Housing Cooperatives, NCBA, CCCD, and numerous local associations. Ms. Brockway has also worked to develop the governance, strategic planning training courses, and Resident Cooperative Manager Classes, which are offered by NAHC. Ms. Brockway is also the President of Economic Consultants for Housing Opportunities, Inc. (ECHO, Inc.) ECHO, Inc. is a full-service homeownership / economic development consulting firm that works with residents, housing authorities, cooperatives, city and county governments, non-profit organizations, financial institutions, United States Department of Housing and Urban Development, and other organizations to develop strategic plans, self-sufficiency and welfare reform programs as well as economic development and homeownership programs for low-income families to support the development of affordable and cooperative housing. Linda was elected in November 2017. Mauricio is General Manager of Cooperative Housing, CONAVICOOP since 2013. He is responsible for all processes on producing housing cooperatives, land buying, construction financing, marketing and commercial strategies in a very competitive Chilean market. Mauricio has assisted the governments of Chile, Mexico, Peru, El Salvador, Colombia, Ecuador and Honduras in the design of public-private partnerships, PPPs, for social projects as housing, highway and port projects. Mauricio has ample experience in the monitoring and follow-up of loan operations and technical assistance projects financed by International Financial Institutions, including the World Bank and the Inter-American Development Bank. Mauricio worked as a Social Sector Specialist at the Inter-American Development Bank leading housing projects in Chile and Ministry of Planning and Cooperation of Chile. Mauricio is a Civil Engineer, MBA, Loyola College, Maryland, USA, with a post-graduate degree in social evaluation of projects from the Catholic University of Chile. Mauricio has over 16 years of experience in private and social evaluation of projects, risk analysis, financing design for social infrastructure projects and contract and bidding document design, including housing and Public-Private Partnerships. 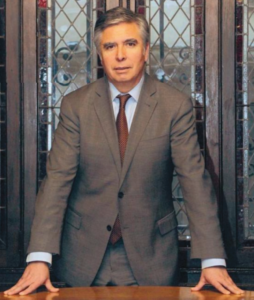 Mauricio was elected in November 2017. 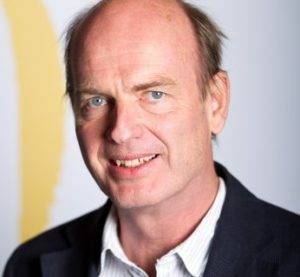 Hans Rupp, is CEO of ABZ, Switzerland’s biggest housing cooperative (5000 flats, 11’000 inhabitants, 1 bn CHF balance sheet total, 60 m CHF turnover, 70 employees, 250 volunteers). He is responsible for steering ABZ into calmer waters after a period of conflicts, increasing trust level, initiating and leading organisational development projects with the aim of cultural change and focusing on customer satisfaction. Hans is overseeing operations in a period of intense construction activity and substantial annual investments as well as developing concepts and initiating projects to cope with the challenges of digitalisation. Previously, Hans was CEO of Bau- und Wohngenossenschaft Kraftwerk1, a small but innovative housing cooperative where he lead the transition from a small to a mid-sized cooperative. He was also a board member of Greenpeache for Central and Eastern Europe where is he was strategic advisor on finance, HR and campaigning. 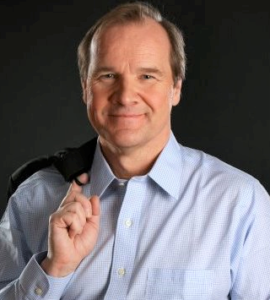 Hans studied social psychology, psychopathology and modern history at the University of Zurich and holds an Executive MBA in General and International Management. Hans was elected in November 2017. 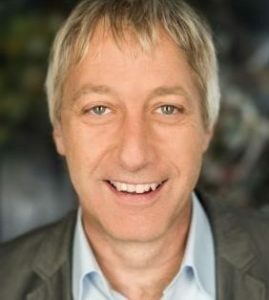 DI Dr. Bernd Rießland studied Civil Engineering at the Vienna University of Technology. In 1984 he graduated with a doctorate in engineering sciences. He lectures at the Technical University of Vienna and Johannes Kepler Universität Linz. He began his professional career in 1984 in the funding section of the Federal Ministry of Economic Affairs, where he headed the technical and economic department for five years and was responsible for the Federal Housing Funds. 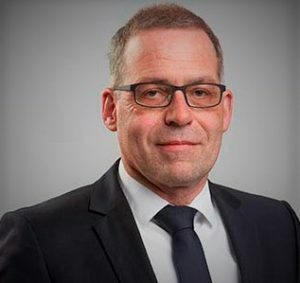 DI Dr. Rießland is a professional board member of GBV, the Austrian Federation of Limited-Profit Housing Associations, which functions as a compulsory audit organization for its members as well as interest representation body. He is also Deputy General Director of SOZIALBAU AG, a private and non-profit housing company in Austria. They manage 51,203 rental and condominiums, 554 commercial premises, and 29,878 garage spaces. In addition, SOZIALBAU AG manages a cooperative network consisting of three cooperatives, two corporations and several equity interests. In the coming year, Sozialbau intends to reach “the peak of around 2,200 dwellings under construction. DI Dr. Rießland was elected in November 2017. Christian is Head of Owner Relations of Riksbyggen, a cooperative company where the members and owners are interest groups, local associations and national organisations. Prior to that, Christian was the Association Coordinator, responsible for Riksbyggen’s local associations in the Stockholm-Uppland region. He helped to strengthen good and long-term business relationships through close collaboration with market area managers. Through his five years as an ombudsman for Byggnads trade union, he gained much experience as a negotiator, primarily as part of a negotiation delegation for collective agreements in the field of construction. Christian has also served as President of a building workers’ union in Stockholm. Christian was elected in November 2017.